Your Ideal Zoëtry Wedding Awaits! Have you always dreamed of a luxury wedding getaway, where love surrounds you and your special someone in a tropical oasis? Look no further than Zoëtry® Wellness & Spa Resorts for your top-of-the-line destination wedding in the Dominican Republic, Mexico or Jamaica! Keep reading for all of the romantic details we offer at our Endless Privileges resorts. Wedding bliss awaits at Zoëtry Resorts! Our Guests Say ‘I Do’ at Zoëtry Wellness & Spa Resorts! It’s our favorite day of the week – #WeddingWednesday! Celebrate your perfect love with a romantic wedding at Zoëtry Wellness & Spa Resorts! Allow our professional wedding coordinators to handle all of the details including the rehearsal dinner, wedding flowers, reception, sparkling wine toast, and wedding cake, so you are free to enjoy your special day with friends and family! Celebrate your happily ever after at Zoëtry Wellness & Spa Resorts! Every couple has dreamed of their perfect wedding. Here at Zoëtry Wellness & Spa Resorts, we can help turn your dreams into a reality with our top-of-the-line facilities, amazing locations and creative wedding planners. Whether it’s helping you decide on the color of the tablecloths or choosing the ceremony location, we work with you every step of the way to ensure that your dream wedding is your wedding. Zoëtry Wellness & Spa Resorts offer brides-to-be several wedding packages where your personal wedding coordinator will help finalize all details of your special day. The Gift of Love Wedding Package is complimentary when you book eight rooms at the group rate for a minimum of three nights each. You will receive an on-site wedding coordinator to handle all details, room upgrade for the bride and groom (based on availability), unpacking service and preparation of wedding day attire for the bride and groom, a symbolic ceremony, bride’s bouquet and groom’s boutonniere, wedding cake and sparkling wine toast for up to 20 guests and nightly romantic turndown service for the bride and groom. The Art of Love Package includes all of the Gift of love package plus a specialty spa basket in room on arrival, a wedding menu tasting for bride and groom the day before the wedding, delivery of couple’s “welcome bags” to guest rooms, specialty couple’s massage (50 minute treatment), rehearsal dinner at one of the resort’s restaurants (reserved space for 20 guests), service of Judge or Minister, choice of violinist, or guitarist for ceremony (1 set, 45 minutes), cocktail party (1 hour – 20 guests), dinner reception (20 guests), DJ Package (resort’s preferred vendor for 2 hours), a private dinner for bride and groom one night during their stay and much more! Contact the resort today for all details of our wedding packages and how we can make your wedding dreams come true! For some inspiration, have a look at these photos from our three amazing resorts! 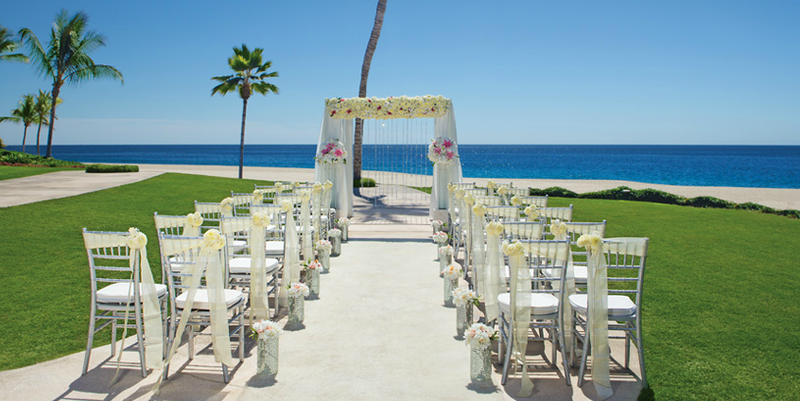 Treat your guests to a picturesque beachside ceremony at Zoëtry Casa del Mar Los Cabos. 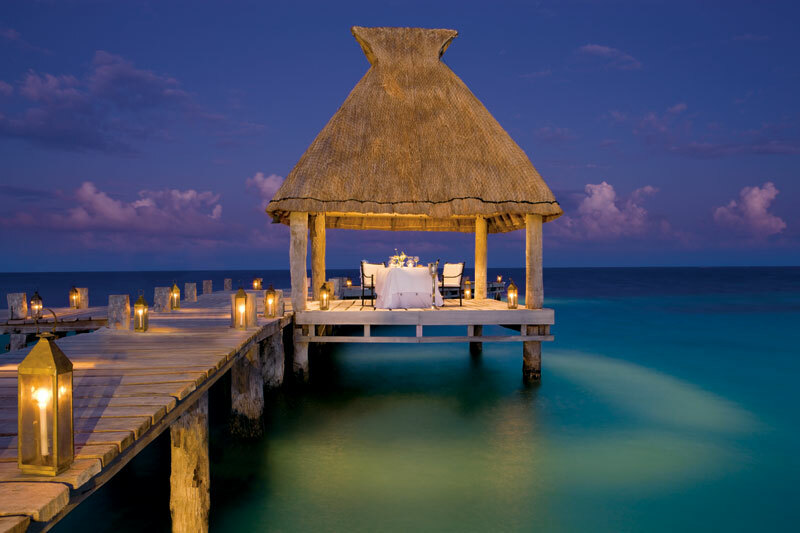 Sample some seafood delicacies at your reception in the scenic Zoëtry Paraiso de la Bonita Resort, Riviera Maya. Celebrate your honeymoon in style with a beachfront room at Zoëtry Agua Punta Cana. Expereince Endless-Privleges® while exchangning vows on your wedding day. 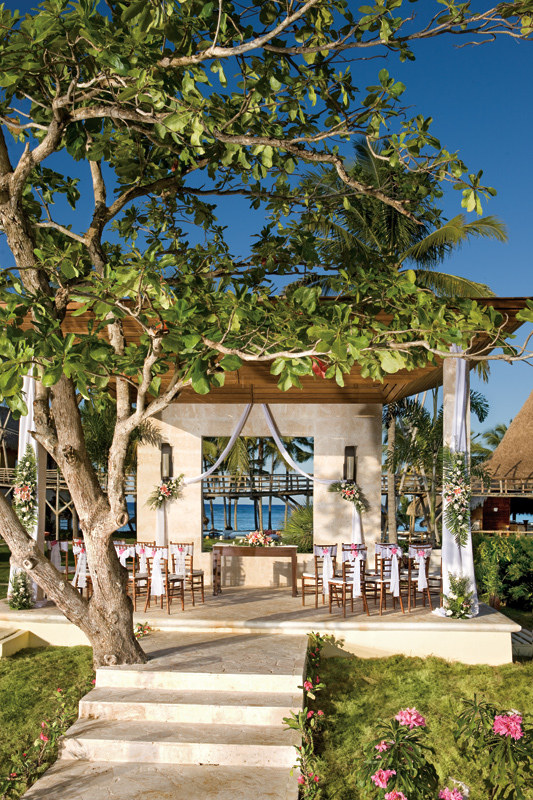 All three Zoëtry Wellness & Spa Resorts, Zoëtry Aqua Punta Cana, Zoëtry Casa del Mar Los Cabos and Zoëtry Paraiso de la Bonita Riviera Maya are pleased to offer a complimentary wedding package, The Gift of Love, when booking eight rooms at the group rate for a minimum of three nights each. Each boutique resort offers intimate picturesque backdrops for your wedding day at beachfront settings in the Caribbean and on the Pacific Coast of Mexico. 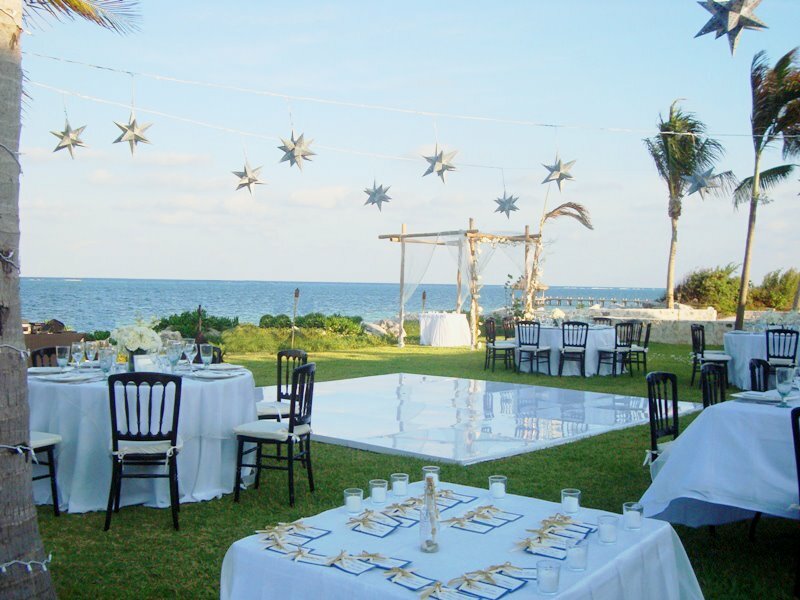 Our on-site wedding coordinators make your destination wedding worry-free so you can enjoy every moment. If you have an idea of a particular floral bouquet or wedding cake that is not included in the Gift of Love Wedding Package, you stiill have the option to upgrade the little extras. There are countless styles of cakes, bouquets and boutonnieres to fit your wedding style. Browse the online wedding guides to help make your decision on where you want to say ‘I do’! Please contact our wedding coordinators for any questions regarding required documentation and other important necessities including scheduling, photography, video and other questions. Contact the wedding coordinators at the following email addresses. Book your Gift of Love Wedding Package now and start planning the wedding you have always dreamed of. Happy planning! 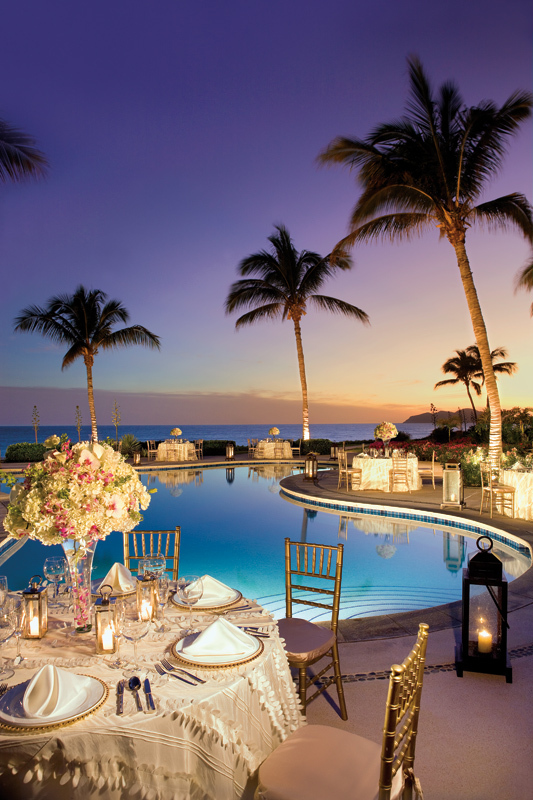 Host an elegant wedding reception poolside at Zoëtry Casa del Mar. Plan your wedding ceremony under the gazebo at Zoëtry Casa del Mar.